If you're in search of a reliable vehicle for your Avon business, the Metris van is a capable and sophisticated option. Combining the sleek design you expect from a Mercedes-Benz with impressive power and utility features, it's no wonder so many drivers choose the Metris. Edmunds even describes the Metris as "easily the top performer in its class, with a strong engine, a smooth-shifting transmission and impressive brakes." Unsure if the Metris is the best choice for your business? View our full Mercedes-Benz commercial inventory, including the popular Sprinter van. After you browse our inventory online, be sure to also check out our selection of commercial van specials so you can save money on your purchase. When you've found a model that piques your interest, stop by our North Olmsted showroom to see it in person and take a test drive. 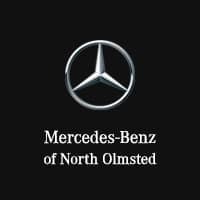 Our sales staff will be happy to help you find the best Mercedes-Benz van for your needs.